Unity Stamp Company: HAPPY Hump Day! 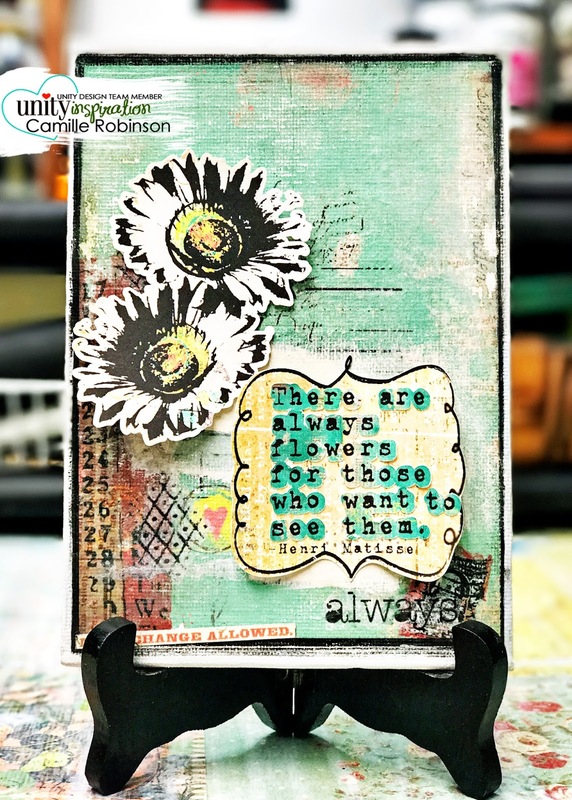 Today I’m sharing a 5-x-7-inch mixed media canvas using this month’s Layers of Life kit, this month’s SMAK kit, and bits and pieces of some other past Unity kits from the past year. The reason I’ve got bits and pieces of past kits is because initially I started this little canvas months ago, got distracted, tired, or whatever the case may be, and I was not inspired to finish it until today. Do you ever do that? You’re inspired to begin making something and then, out of nowhere, it just fails to capture the motivation required to finish your vision. It happens to me. Not a lot, but it does happen. This canvas is a pure testament to that process. 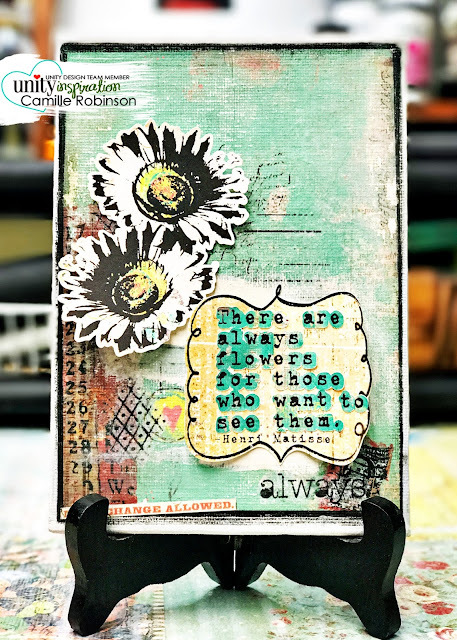 So, if you’ve began a card, tag, canvas, or scrapbook page, etc, and it was just never finished, I DARE YOU to pick it back up and add some NEW Unity to it. This was just what I needed to finish my canvas. It felt SO GOOD to put it on my shelf to display. I hope you can get over that HUMP and finish making your pretty stuff.